I sent the following email to Raymond Gallup of The Autism Autoimmunity Project. Mr Gallup once announced that not only did he know for certain that I was in the pay of pharmaceutical companies but he even knew for sure what form the payment took (holidays at luxury resorts). Mr Gallup's aim is to leverage his son's misery to ensure that many more children get sick and die. As there are now at least four competing theories about the origins of autism (mercury in thimerosal, gut bugs in MMR, Mercola's pasteurisation idiocy, and a new one this week - monkey viruses in polio shots) it is interesting to see how the anti-vaccination liars can believe them all simultaneously. I predict that Mr Gallup's response will be vitriolic, vacuous and will miss the point completely. It is time to do real science and replicate the science done by Dr. Andrew Wakefield and Dr. Vijendra Singh. The autism pandemic is not genetic but due to the vaccine assault on our children. Denying the science won't make it go away. Denying that we are having an autism pandemic will not make our children go away. Denying that we have a problem won't make families go away and it certainly won't make us less vocal about what happened to our children. My son, Eric tested positive for myelin basic protein antibodies, he has elevated measles antibody titers and colitis. Those that deny that the MMR vaccine did this to my son (and thousands of other Eric's), please explain to me what did? Don't deny it but produce science to explain it!!! To date I have not seen or heard of any science that could tell me something different. I assume from your words above that you reject the idea that the thimerosal preservative which used to be used in some vaccines is the cause of autism. After all, you ask the question "Those that deny that the MMR vaccine did this to my son (and thousands of other Eric's), please explain to me what did?" As you and I both know that there has never been any thimerosal in the MMR vaccine, and as you seem to think that the only possible cause of autism is the reaction in the gut to MMR, I expect that you will soon be campaigning to stop people wasting their time bleating about mercury and to get them to address the real cause of autism. You could start by writing to Professor Boyd Haley to tell him to stop talking nonsense and diverting the parents of autistic children from addressing the real issues. He seems to be the leading speaker against what you believe to be the truth. Perhaps you could write to Dr Joseph Mercola and tell him that his idea that autism is caused by pasteurised milk is also nonsense, but it would probably be a waste of time as we both know that Dr Mercola is barking mad. I have just seen the interview between Greg Ciola and April Oakes in Crusador. It is almost farcical to see someone described as the Vice President of an organisation interviewing the President of the same organisation and pretending that it is just the editor of a publication doing his job. The fact that nowhere in the interview is the relationship mentioned is no less than I would have expected from an organisation which bases its existence on lies. The part where the President asks the Vice President "How can someone contact you for more on this topic?" makes me want to withdraw the word "almost" from the previous paragraph. 3) Develop mechanisms for prevention of immune-based autism. Several people have tried to tell me that The Autism Autoimmunity Project actually believes in these goals and is not just some anti-vaccination liar outfit, but then I read in the pretend interview: "My first child, Casi, was a victim of the vaccination program. I thought I was being a good parent when I held her down while she was being vaccinated. Today, one child in 150 is labeled "autistic" and there is a great deal of evidence showing that vaccines play a role in the cause. Casi died on June 13, 1999 and since her death, I've made the commitment to warn the world that vaccines are both worthless and dangerous. Everything we've been told about them is simply not true. One of the most blatant lies is, "no shots, no school, no kidding". What a joke! There are exemptions in 48 of the 50 States. 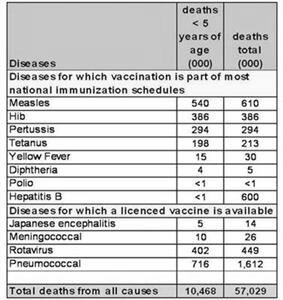 Another very glaring lie is that vaccines have eradicated certain diseases. Most of these diseases were being eradicated BEFORE the introduction of vaccinations". I guess that you can no longer deny the fact that TAAP is not the least bit interested in its stated goals, because if it was then it would be looking for the real causes and cures for autism and not chasing after fantasies like vaccine dangers. The list of officials of and advisors to TAAP is also instructive, as a more venal collection of child haters would be hard to find. At least one of them, however, has found a guaranteed way of preventing autism, but whether Alan Yurko's method of beating kids to death before they become autistic is likely to be widely promoted is something only you and your ilk can decide. Whenever people ask me why I spend my time fighting the anti-vaccination liars who so endanger our children, I simply quote from Psalm 94:16 "Who will rise up against the evildoers? Or who will stand up for me against the workers of iniquity?" I received a reply which said that TAAP had not received my email (?). (My email was sent to the address from which the reply came, it did not bounce, and a BCC sent to a colleague of mine was delivered so the email left my server correctly.) In this reply I was told that the reason that Mr Ciola's affiliation with TAAP was not mentioned was that he had not been Vice President when the interview took place. This piece of sophistry attempts to ignore that the point at issue is not what he was when he did the interview but what he was when it was published. TAAP also sent a message to anti-vaccination liar mailing lists with the deceptive subject "TAAP under attack for exposing the TRUTH about vaccines" calling on people to write to me to set me straight. Since then I have been receiving a stream of hate mail ranging from polite, considered hopes that I get sick and die, through claims that I have said things which I would never be stupid enough to say (like accusing me of denying that vaccines have anything to do with the immune system), and going on to ALL CAPS rants where the splattering mouth foam made a mess of my monitor. Several mentioned baby-killer Alan Yurko's good work, and others criticised my choice of Bible quotation, apparently without noticing that I got it from the TAAP site. I assume that this barrage of mail will go on for some days, so I am going to wait until it is over before formulating a response. As I will be away next weekend, my answer should appear here in two weeks time. During that two weeks about 20,000 children will die of measles, about 11,000 of pertussis, about 15,000 of Haemophilus influenzae type b (Hib), and another 15,000 from the effects of rotavirus (which caused almost orgasmic delight to the anti-vaccination liars when the vaccine was withdrawn in the US). The anti-vaccinators will be quite correct when they point out that these children were all saved from any potential dangers of vaccines. I will leave my discussion of the correspondence with The Autism Autoimmunity Project and their supporters until next week. Since I first mentioned it two weeks ago, TAAP have come up with yet another cause for autism and I want to throw this back at them as well as other inconsistencies in their campaign against vaccination (and against finding any real cause or cure for autism). In the next week about 10,000 children will die of measles, about 15,500 of pertussis, about 7,500 of Hib, and another 7,500 from the effects of rotavirus, but these numbers will be welcomed by TAAP because none of these dead children will have been placed at risk of becoming autistic as a result of vaccination. In any case, these numbers drop into insignificance when compared with the autism epidemic which will see about 50 children diagnosed with autism in the next week in the state of California alone. You can read some of the mail I have received about this here.